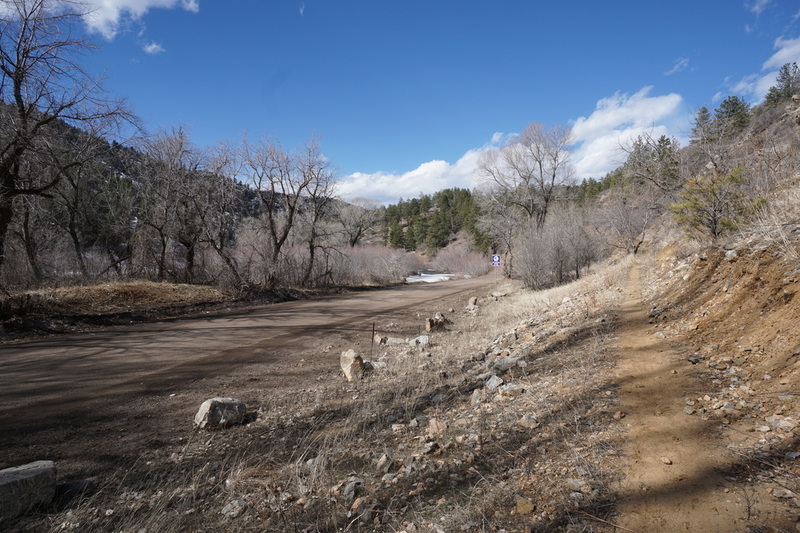 Directions: From Denver, take Hwy 285 South past Conifer/Aspen Park and turn right at the signs for Reynolds Park/Foxton Road. The offramp will curve around and at the stop sign turn left onto Foxton Road heading south. Pass through Reynolds Park and when you reach the South Platte River, turn left (east). 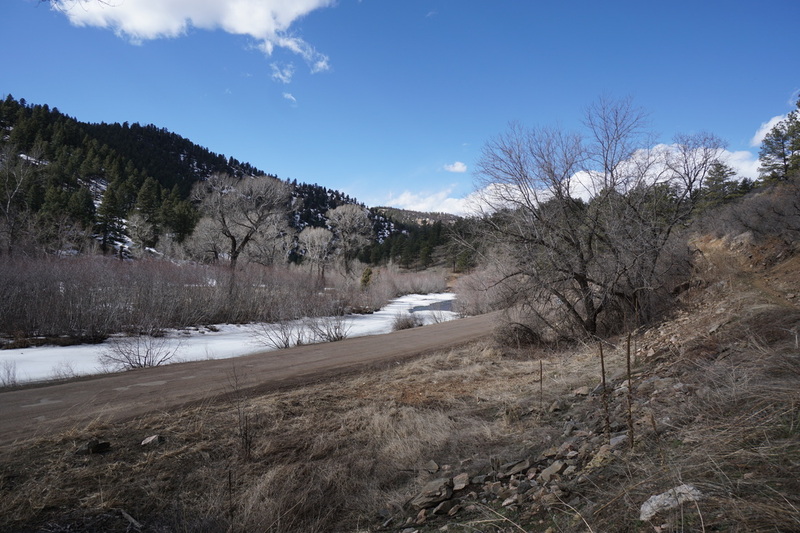 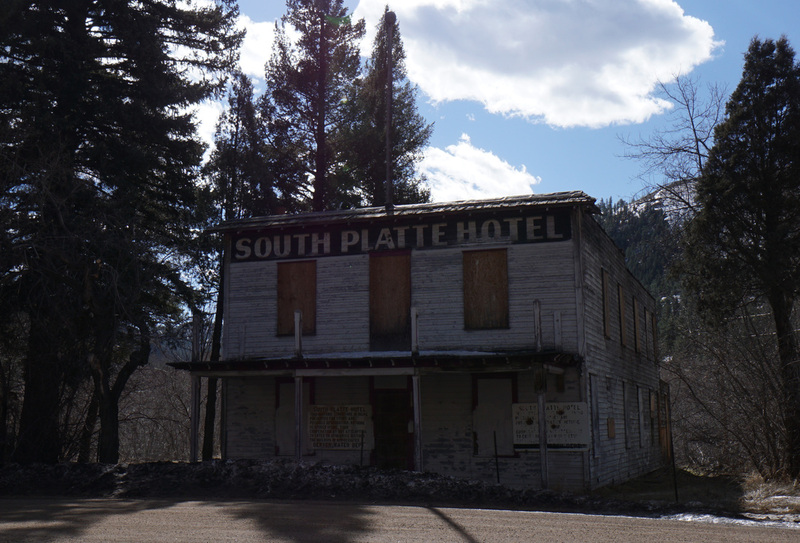 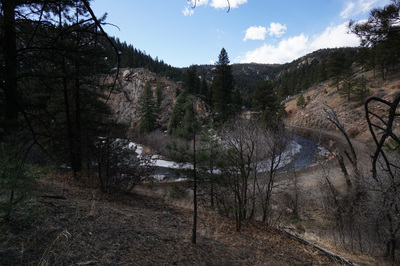 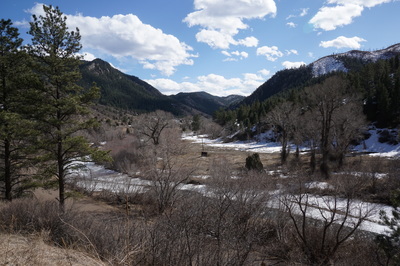 Follow Platte River Road (good dirt road) for about 5 miles to the North Fork Trailhead on the left, across from the historic abandoned South Platte Hotel. 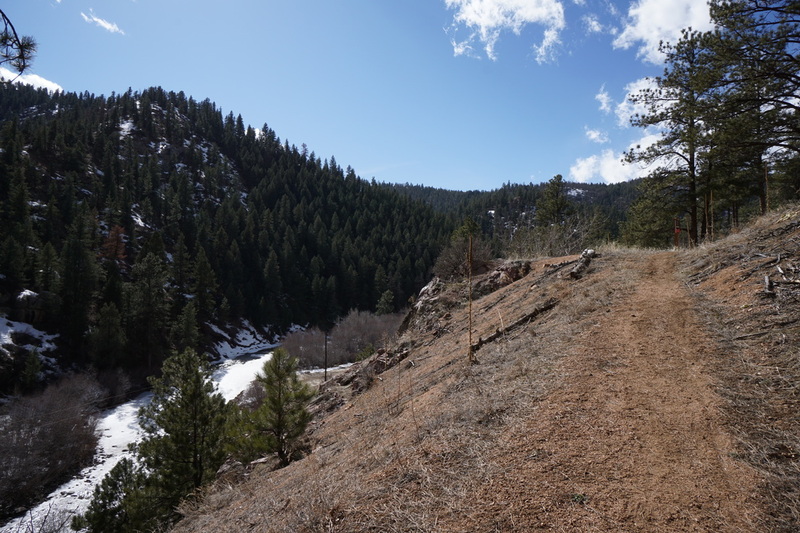 The North Fork Trail is the newest trail in the Jefferson County Open Space System and part of Reynolds Park. 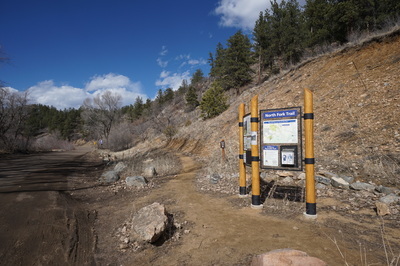 The trail connects Reynolds Park's Campground to the South Platte River and is 9.3 miles one way. 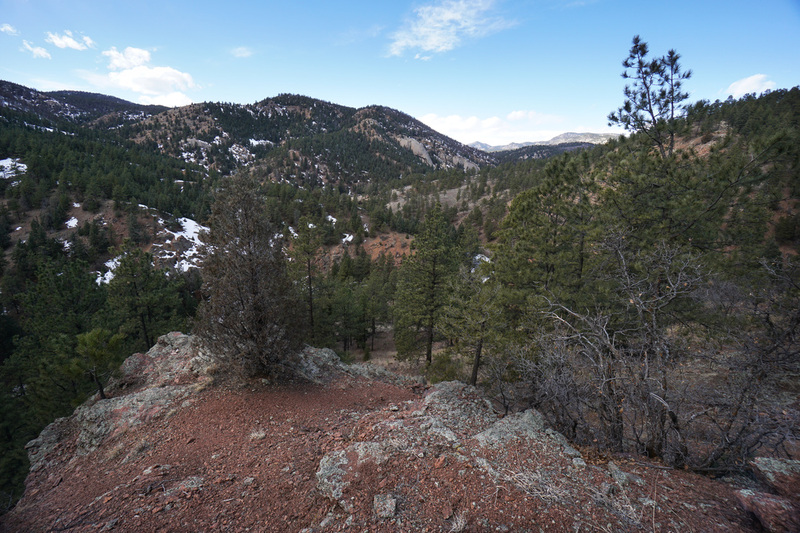 However, if you want a shorter hike, you can start at the South Platte and hike 1.75 miles to a wonderful viewpoint. 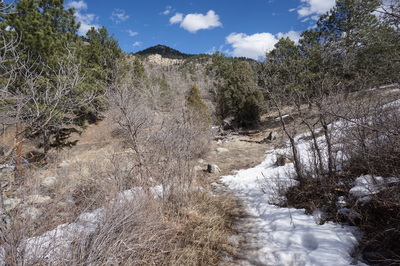 This is a terrific hike in the winter or early spring since the slope is southern facing and the area gets a lot of sun. While other trails are snowy and muddy, the North Fork will most likely be dry. 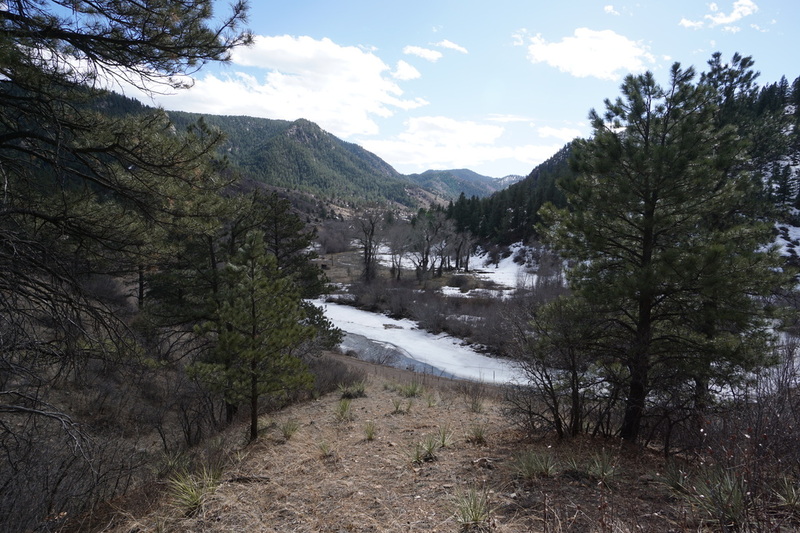 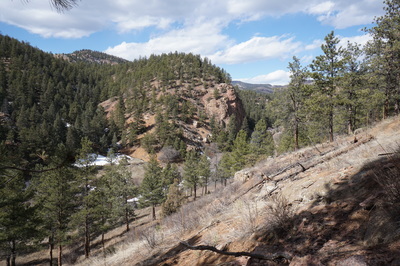 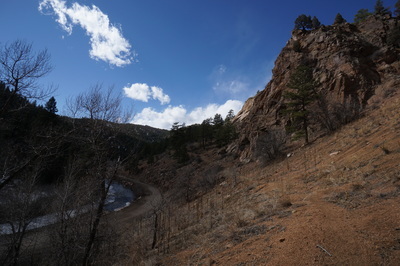 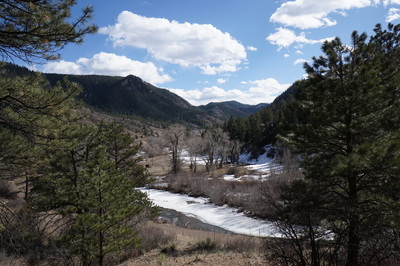 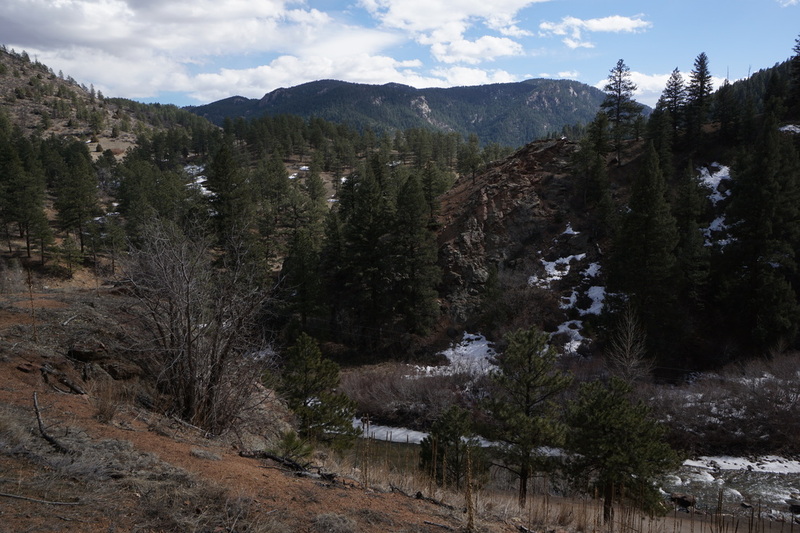 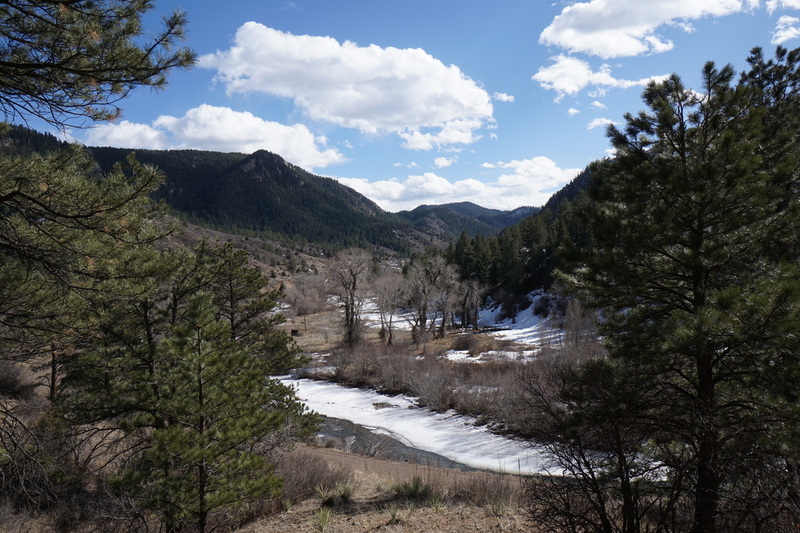 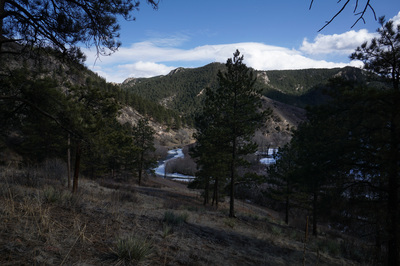 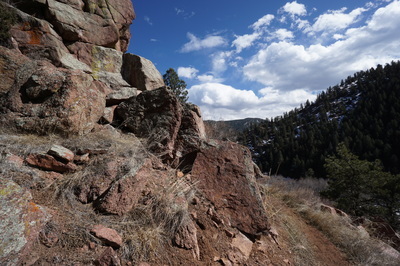 From the trailhead, head east following above the South Platte along the northern slopes of Platte Canyon. 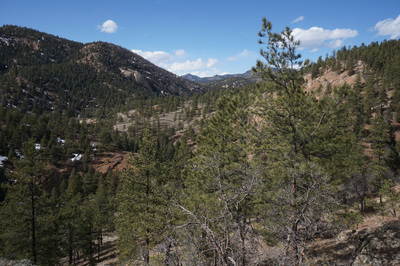 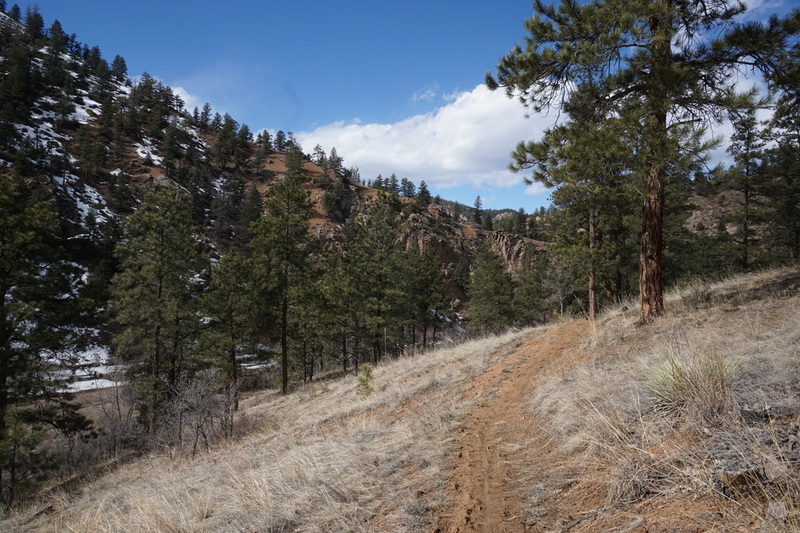 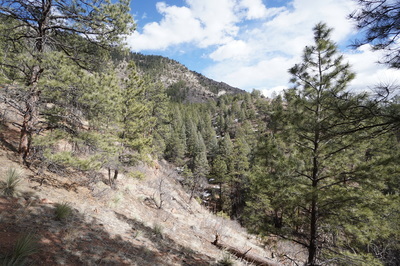 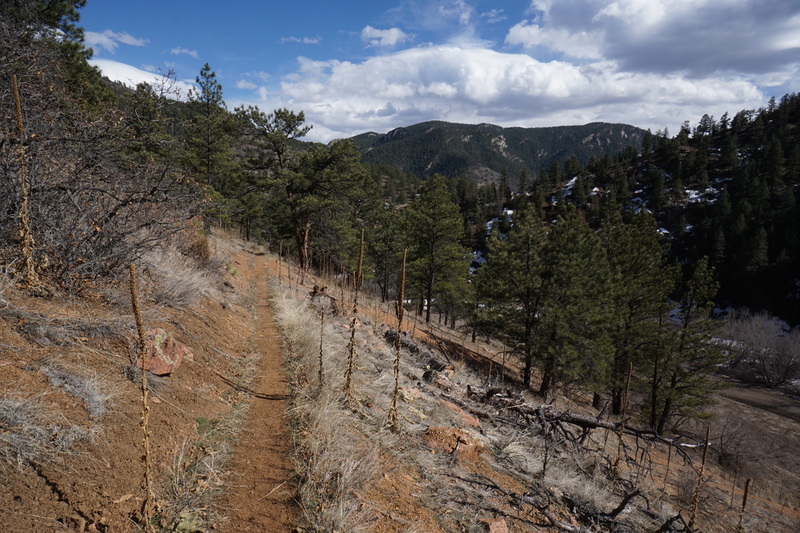 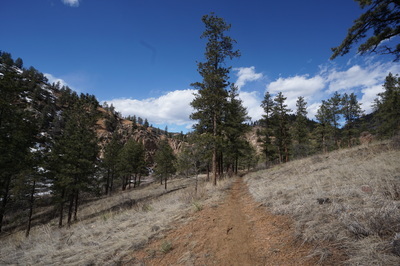 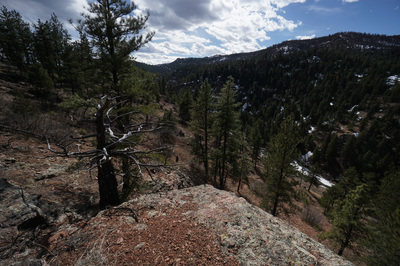 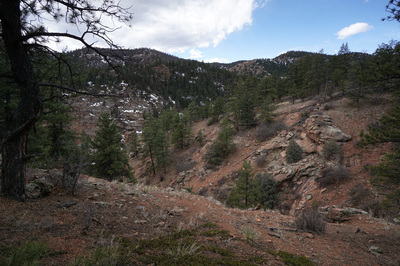 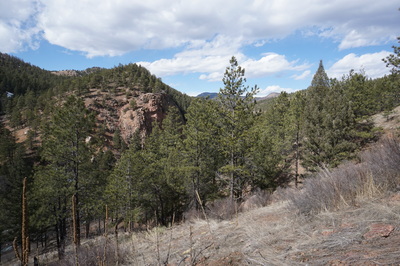 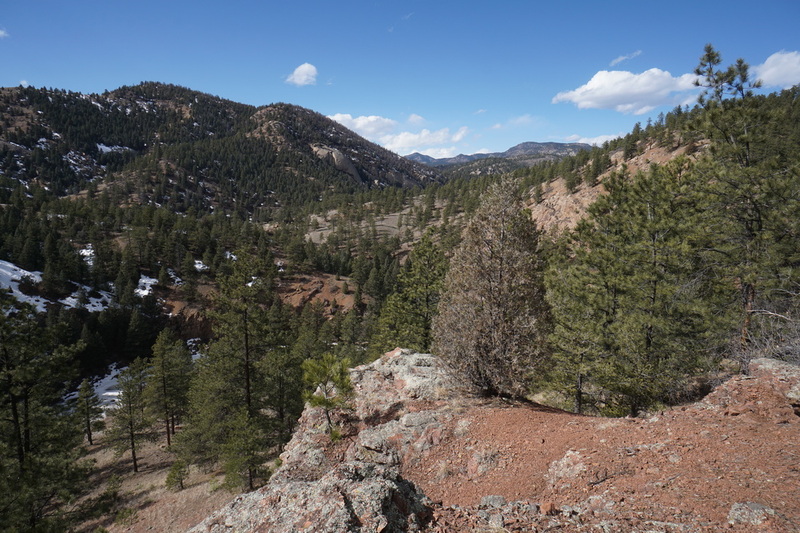 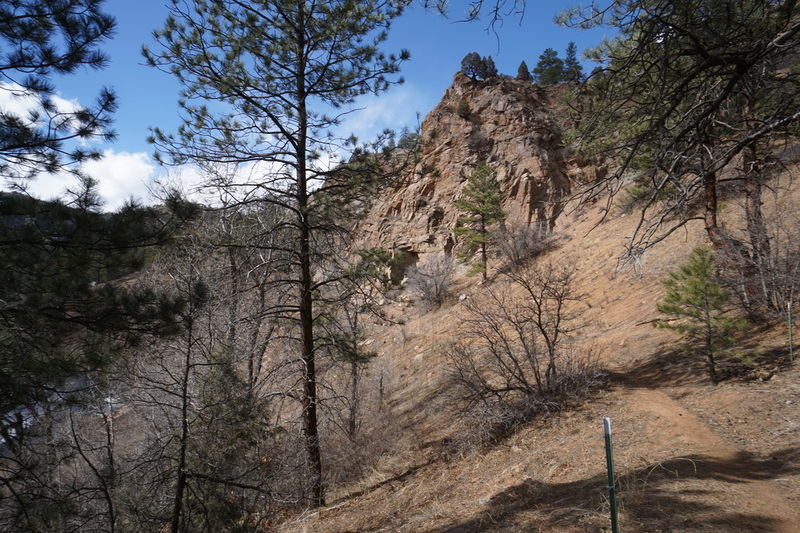 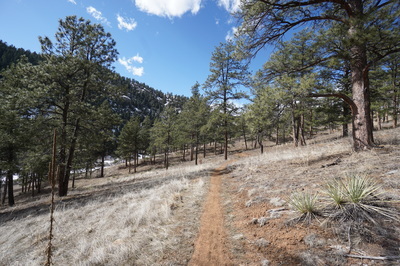 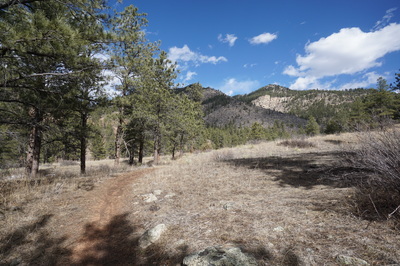 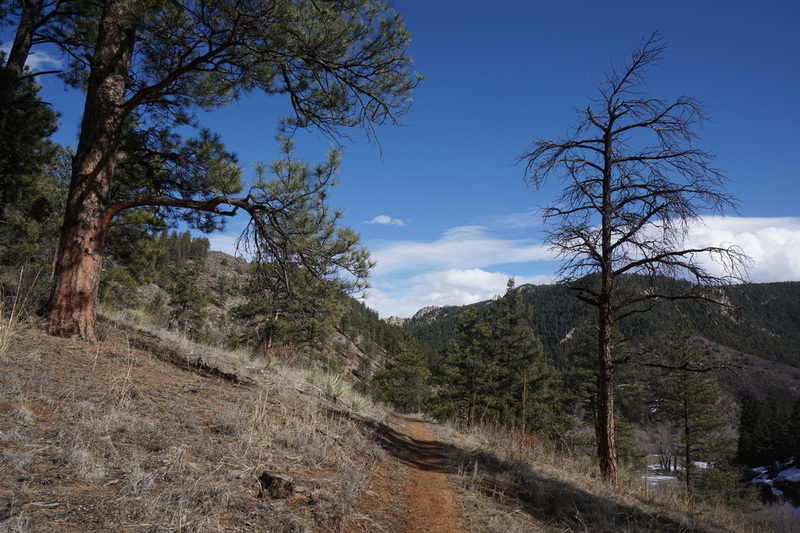 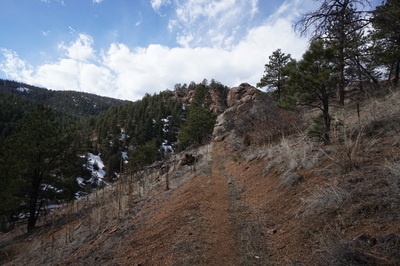 The trail rolls along sparse Ponderosa Pine forest with great views up and down the canyon. The entire time you will be treated to the rambling sounds of the S. Platte River below. 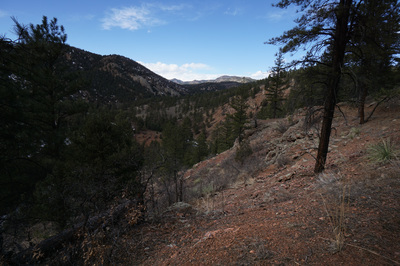 The trail steadily gains elevation and dips into denser forest with the occasional viewpoint. 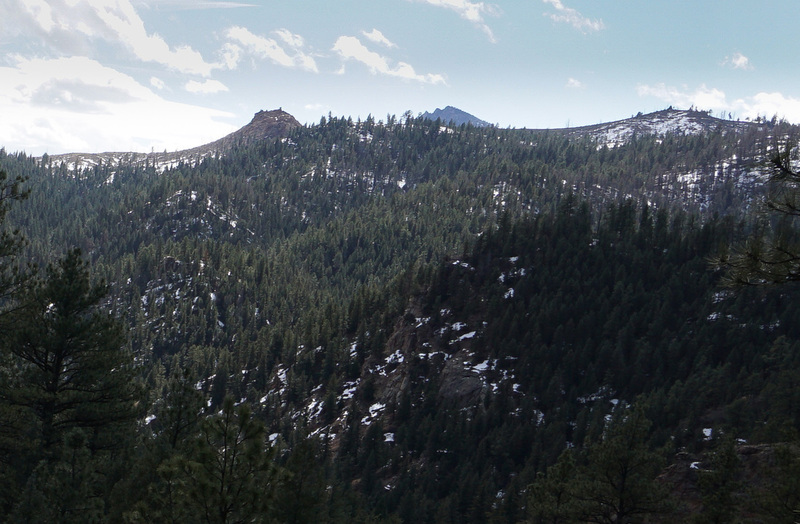 To the east you'll be able to pick out Raleigh Peak rising above the southern ridge. 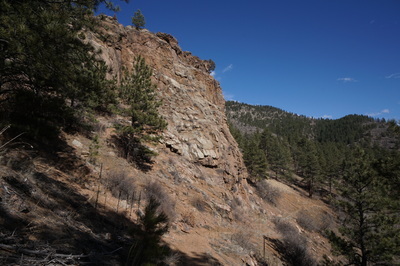 From time to time cliffs and rock formations will line the canyon. 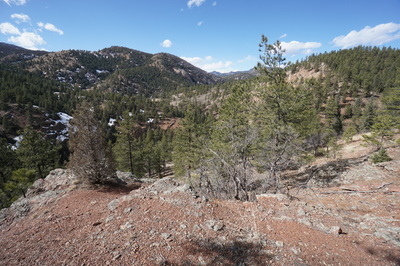 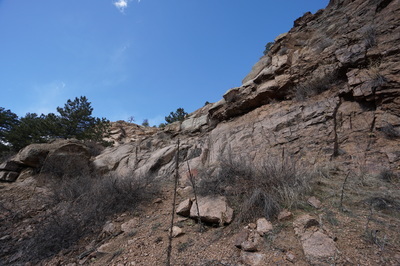 When you reach the 1.75 mile point you'll notice a rock outcropping just off the trail, this makes for a great resting spot and a terrific turn-around point. The view to the west is wonderful with the area's infamous granite rock domes dotting the landscape. 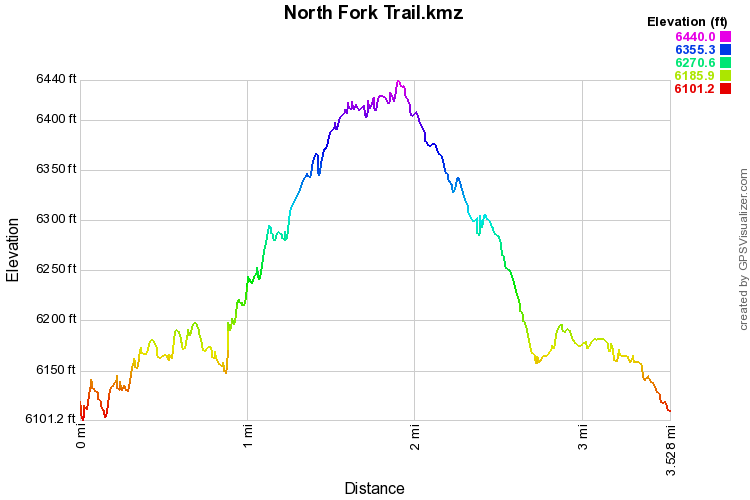 The North Fork Trail is wonderful. 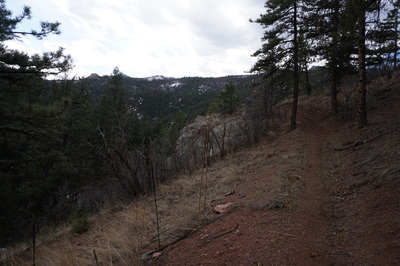 It was built for hikers as well as for mountain bikers so stay alert around the turns. This also means that the trail itself is very smooth and easy to hike along. 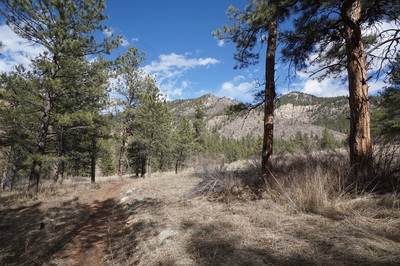 The trail is very inviting and at 9.3 miles, you can explore at any distance that you want. You may want to make this into a shuttle hike and leave a car at each end; starting at Reynolds Park and hiking to the South Platte would make for a terrific, mostly downhill, 9.3 mile hike end to end.